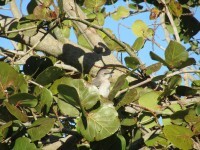 You are here: Home / From Florida / Birds of Paradise ! For some the 13th is not a lucky day but for me it is. 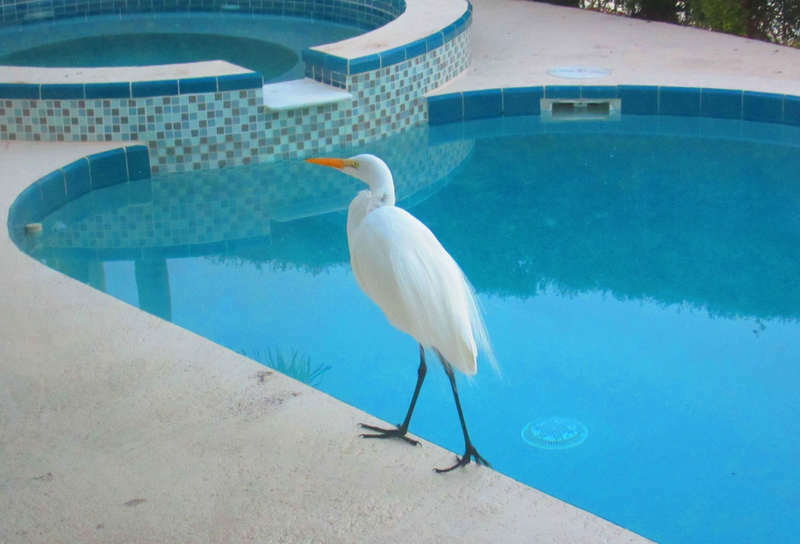 Today I awoke to a beautiful clear sky and this interesting bird walking around our pool. They can be seen all around St. Pete’s but I don’t know what they are called. Anyone who know please let me know and I will update my post. Then, there was the Cormorant at the end of out dock just soaking up some of the warm sunshine. 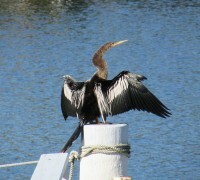 We have one visit almost every day, and they can sit there for hours spreading their wings and preening. The final bird was very vocal as I was taking my pictures of the other two and I was able to capture a great photo of it sitting in the tree beside our patio. Again I don’t know what it is called so let me know if you know!!!! 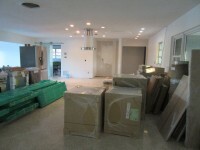 But the best thing about this day was the arrival of our kitchen cabinets and trim from Miami. After many shipment delays the truck finally arrived around 6:30 pm. These pictures were taken Saturday night after they unloaded the truck. 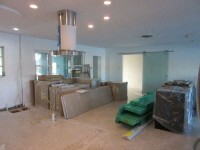 Take a look at the far wall and you will see one of the hanging glass doors on rollers that M. installed this past week. They are gorgeous !!! There is a smaller one on the other side but the fridge is blocking the view. Hanging from the ceiling you can see the round hood fan for our gas range that M. and I also installed last week. You won’t believe how many times we have walked into it and bumped our heads. So try and image below the hood fan, a half circle island a with the range in the center. Sunday morning 8 am. the install begins !!!! Sign up for my email updates and I will keep you posted with the pictures.